Businesses are seeing an increase in the number of malicious emails being received on a daily basis, with it being estimated that nearly half of all emails received are now spam. Email is an effective method of cyber attackers reaching your end users and infecting your network with ransomware. 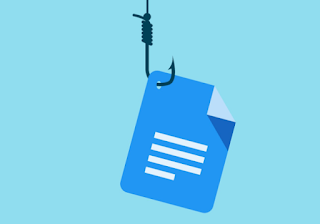 How do phishing scams work? ate emails from colleagues, clients or other “trusted” senders but often contain a link or attachment containing a virus. Once clicked, this can give the attackers access to your network, at which point they can do things like start to encrypt files before demanding a ransom to recover them. In fact, 93% of phishing emails contain encryption ransomware. This can be a huge issue, both in terms of security and data protection, and financially. So how can you protect your end users and internal infrastructure and help to avoid being targeted by phishing scams? 3 Steps to Phishing Freedom!! Education is one of the most important things that you can do to help avoid falling target to phishing scams. Describing the things to look out for in suspicious emails that may appear normal and unsuspicious could save your users from clicking on the links or attachments that would otherwise give access to the attackers. Increased awareness for your users will help them to check before clicking on attachments or links that they are not expecting. Changing this behaviour is one of the biggest ways to prevent cyber-attacks through phishing scams. This is where the PhishMe Simulator comes in. By replicated real-life phishing scenarios, it can provide you with experience receiving this type of email and then you can educate them accordingly and help them to spot the emails… without the risk! Scenarios range from ransomware emails, to BEC (Business Email Compromise), spear phishing, social engineering, drive-by attacks, advanced conversational phishing attacks and malware and malicious attachments. This is an effective and unbiased way to address where there are weaknesses and deliver greater training where needed. What could Phishing Mitigation Managed Services bring to your business? Systems Assurance offers Phishing Mitigation Services to their customers to reduce their susceptibility to phishing attacks by over 95% through simulations and training. This can also highlight weaker areas that can then be addressed. At the same time, Systems Assurance can provide any security, disaster recovery planning and backup strategies so that you can protect your users should they fall victim to a particularly convincing scam.